﻿ Stroh Center - Ohio. Find It Here. 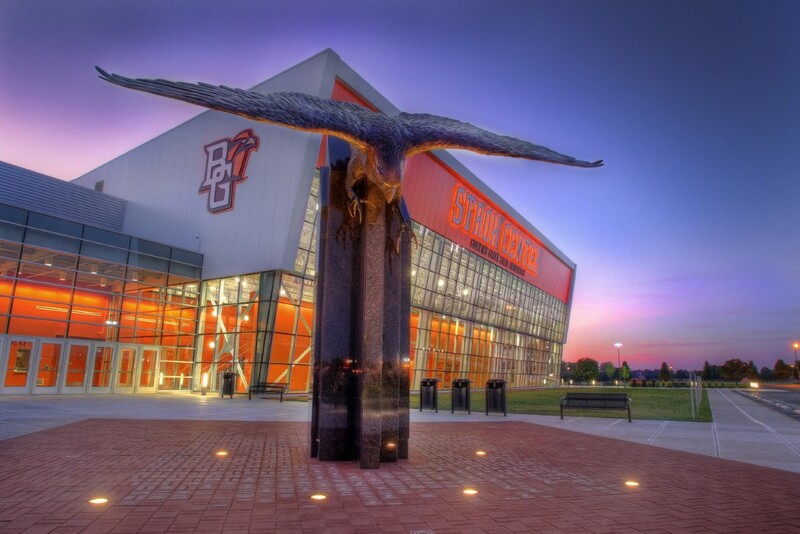 The Stroh Center is a state-of-the-art venue for concerts, commencement, lectures, and numerous campus and community events, and serves as the home for the Falcon men's and women's basketball and volleyball programs. The facility includes locker rooms, meeting rooms, and coaching staff offices for the teams, the BGSU Athletics Hall of Fame, a team store, ticket office, and lounge. The Stroh Center is one of the most environmentally friendly buildings on campus with a Gold Leadership in Energy and Environmental Design (LEED) certification status.